It is a Very Worthwhile Experience! As already mentioned, everybody is invited on 3 April 2014 at 13 o’clock in the house Microsoft on Richtistrasse 3, in 8304 Wallisellen for the opening of the Swiss Roadshow proRM. A fascinating informative adventure and an exciting program of this unique system arrangement awaits you. 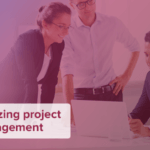 Numerous, intriguing presentations by the developers of the award-winning distribution management, resources management and project management solution proRM and her impressed and inspired users will be able to persuade absolutely all participants of the perfection of the teamwork between Microsoft Dynamics CRM and proRM. Find a half of a day and let yourself see proMX, Microsoft and Trivadis demonstrated together. These solutions are effectively implemented, which supports their commercial processes and generates excellent benefits. We are glad be able to fill your interest with new helpful knowledge. All that you need for the registration can be found here. 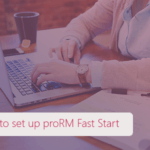 Leading software development house of Nuremberg and one of the most successful Microsoft CRM GOLD of Germany and Microsoft GOLD Application Developer to partners introduces the new release of its successful distribution management, resources management and project management solution - proRM. On the 06th of May, 2014 the Innsbruck city opens her doors for the second time for the Future Forum Distribution. It is a platform which helps like-minded people to exchange information about news, innovations, and the newest trends in sales and marketing. Use the chance and meet us on site.